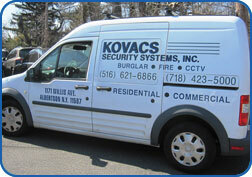 About Us | Greater New York Metro Area | Long Island, Nassau, Suffolk County | Five Boroughs | Kovacs Security Systems, Inc.
Kovacs Security Systems has been serving customers since 1975 throughout Long Island and the five boroughs. Located on Long Island, the company is run by its founders, Alan Kovacs and John Demato. We are committed to the satisfaction of every individual customer and that is why our owners are always available when necessary. Our technicians are company employees and not sub-contractors which guarantees top of the line service. Our employees are extensively trained in the industry and have been with the company for over 20 years. We provide professional installations which are performed in a clean and timely manner and we are known for our prompt responsiveness. With that in mind, we are on-call 24/7 in case of emergencies. 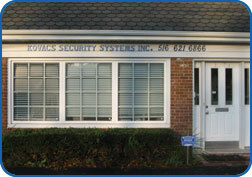 Give us a call to discuss how we can meet your security needs.